Show me one man who does not want to have smooth shaving device for his beard? I think there is the major part of men, prefer these day electric shavers for them over razor. If you really want to be a part of gentle touch with smooth shaving experience from your electric shaver then go for perfect Philips AquaTouch Shaver. I bet it will not disappoint you with its performance. Philips Aqua Touch shaver is a guard of your skin and it looks after your skin as its beloved. So, do not put lot of stress on your mind for this reasonable feature with reasonable price product before buying. I should tell you the price before moving to the Philip Aqua touch review as you all know there are different models shattered in the market. 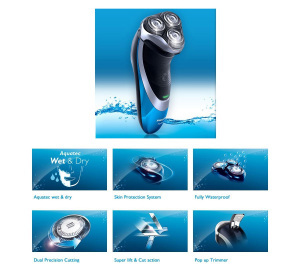 Philips AquaTouch shaver price in India, USA, UK, Australia, china and more are different. I know you want to know eagerly about its feature so that you can own it as soon as possible. Aquatec: Whether you are going for easy dry shave or wet shave with foam Philips Aqua touch will take out your beard with care with no irritation. Aquatec is 100% waterproof so using it with the contact of water is absolutely safe. Your skin protection is your first priority, so you can use this shaver accompany with shaving gel or foam and you can go for dry shave. It is completely on your skin comfort. After using this versatile shaver, its cleansing is also very easy as you need to only put this shaver under the tap by taking away its head. 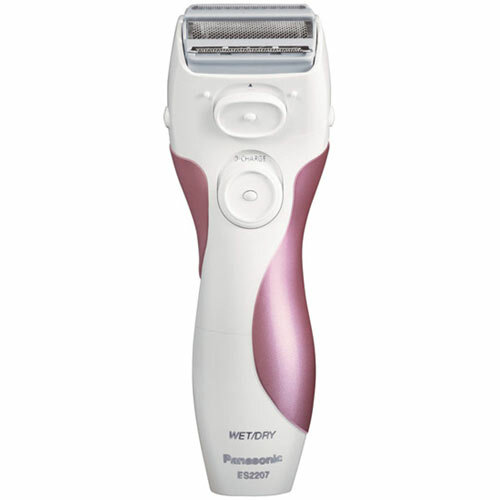 Charging- Its powerful lithium-ion battery gives you more shaves, more comfort per charge. Amazing 17 times you can shave, if you will charge your battery for 50min. You can imagine for one shave how much it will take, most probably 3 to 4 minutes. Glides softly over the curves of your face- Its rounded low friction design with protection heads is quite adjustable according to your different curves of your face for keeping your skin away from any sort of damage. Super Lift & Cut blades raise hairs to cut closer- The first blade raises your beard gently and the second blade cut the hair below skin level. It works so well according to the nature of your beard. Trimming your sideburns and moustache perfectly- Its pop up trimmer is evenly good for your sideburns and at the same time amazing in maintaining the moustache. Check wonderful specification that make you go for it. Now you are not unfamiliar with product as I have presented its features and specs even you are confused then take a close review from me. It is designed perfectly for men’s requirement but little time consuming as it takes your 10 to 15 min for clean shaving. I have been using it for 3 months so I can suggest you that I had a great company of my shaver as it fulfills my small needs also. If your skin is friendly or comfortable with the close shave then go for it as there are people who cannot bear extra closeness. Once you charge this electric shaver then forget about charging it again at least not before 7 times uses. You are on safe side against the irritable charging your shaver often.